It’s the most wonderful time of the year! 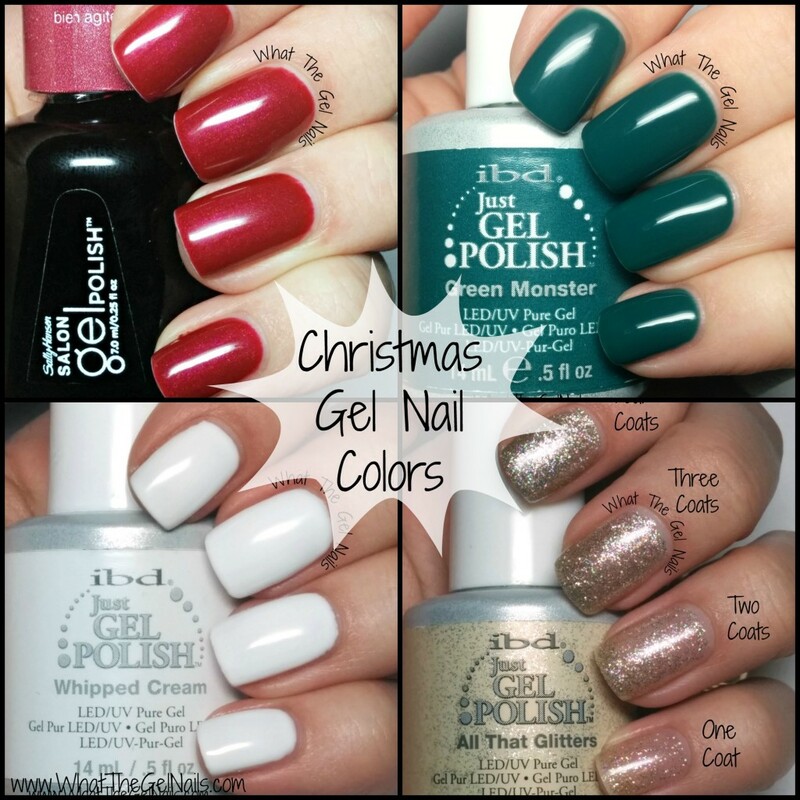 I love Christmas and I have some awesome gel nail colors that are perfect for the holidays. This was my very first gel nail color. It came in my Sally Hansen gel polish starter kit. The color is a deep shimmery red and luckily, it’s a red that actually looks great with my skin tone. It needs 3 thin coats to be fully opaque. 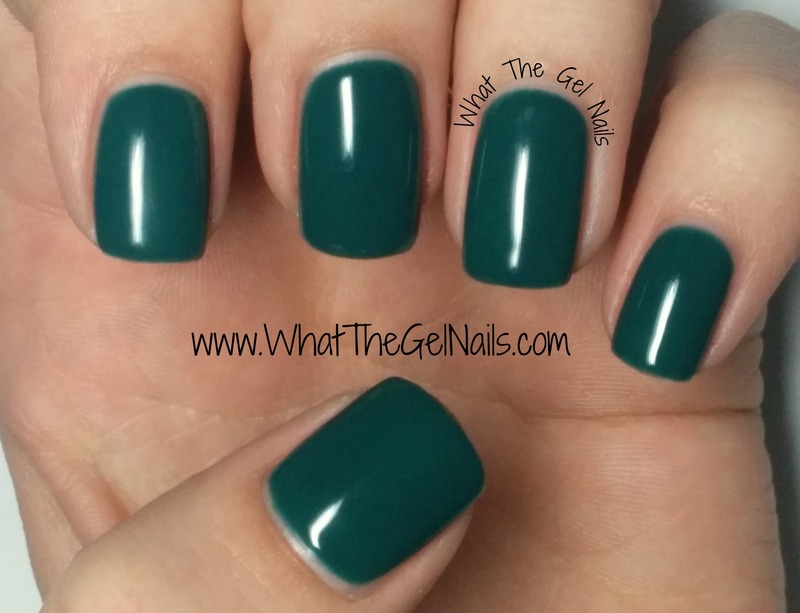 It’s a great color, but it is definitely my worst quality gel polish. I’m not saying all of Sally Hansen gel polish colors are bad since I only have experience with this one bottle. But, this color always chips and it only lasts about a week until there is some kind of wear. It does last longer though if I add extra coats of top coat every few days. I used it for a Christmas manicure and it looked great after I added some nail art and IBD Fireworks and a coat of top coat. 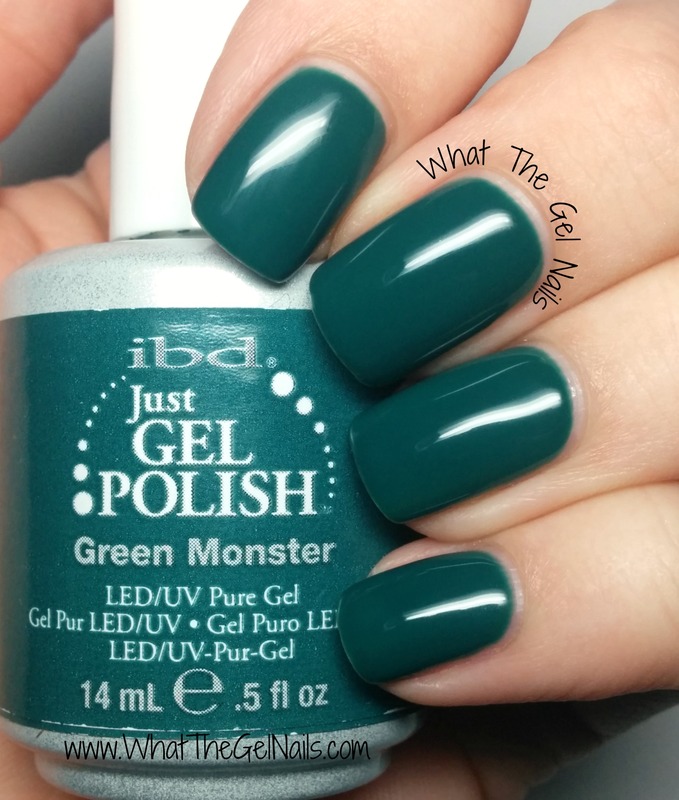 Green Monster is a forest green cream with a blue undertone. It needs 3 coats for full opacity. It is an awesome color! I love wearing it during the Christmas season. I can’t wait to show you the manicure I did with it. It is one of my favorite manicures this year. It does make my skin look a little yellow (like most blues or greens), though oddly not in a bad way. 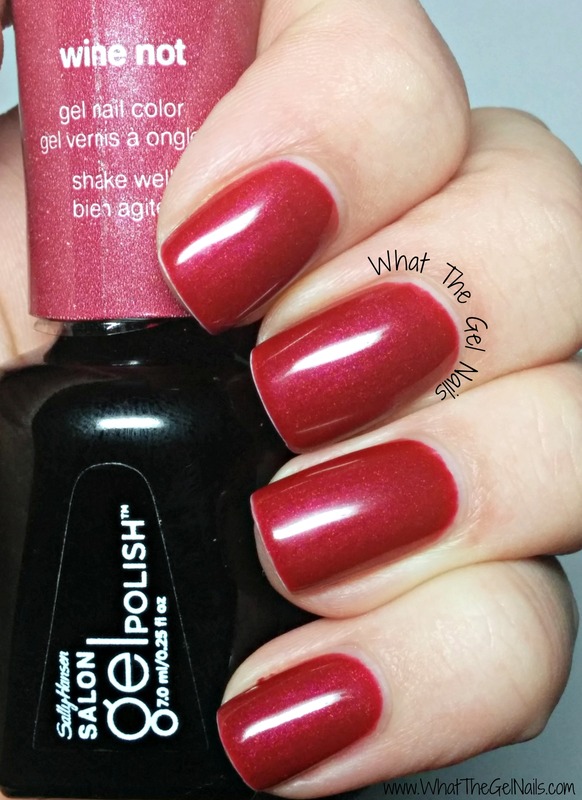 This color is definitely a must have for the Christmas season. *Update: Here is my Christmas Tree Mani with IBD Green Monster as the base color. 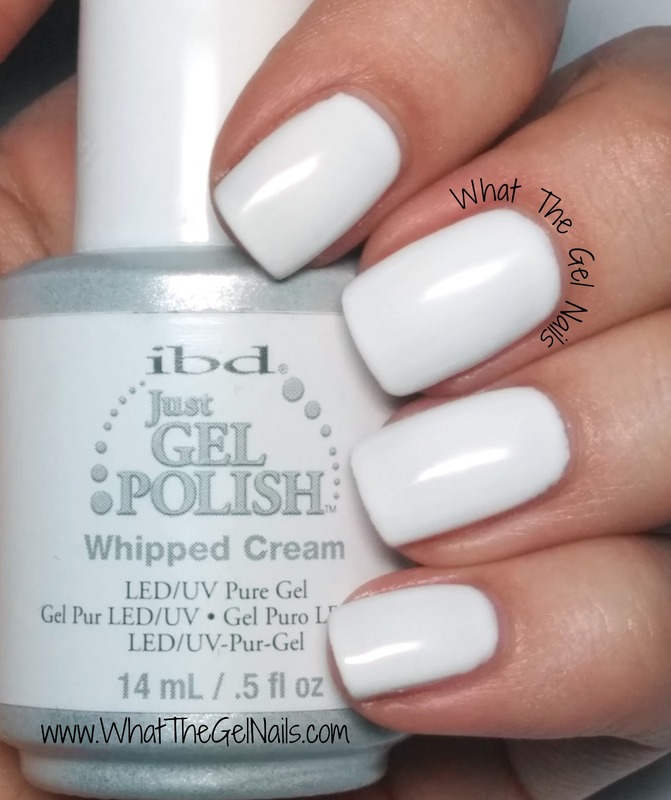 Whipped Cream is a pure white cream. It needs 3-4 coats to be fully opaque. As I’ve said before, I’m OCD about opacity, so 3 coats will probably be enough for most people. This color did get quite thick and goopy after a few months. I recently got a Robart paint shaker and it has completely fixed those issues. I just strapped the IBD Whipped Cream into the paint shaker for 20-30 seconds and it was much better than it had been in months. The next day it was even better. I have no idea why it was better the next day, but hey, I’m not complaining. Here’s my Robart paint shaker review. 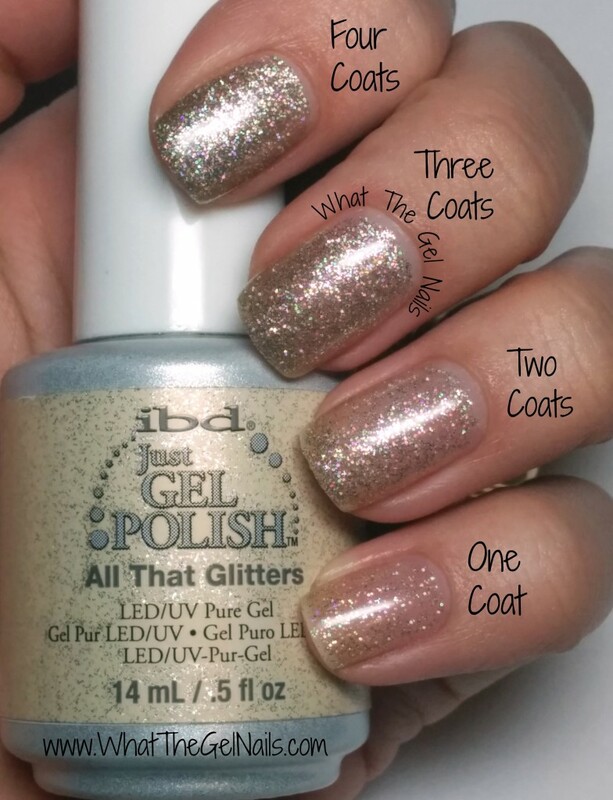 This is a gold glitter that works great as a topper, but it can also be fully opaque in 4 coats. All That Glitters sometimes looks silver depending on the color it covers, the lighting, skin tone, etc. It usually looks gold, however. I have swatched it 2 different ways for you. In the first picture I have 1 coat on my pinky, 2 coats on my ring finger, 3 coats on my middle finger, and 4 coats on my pointer finger. 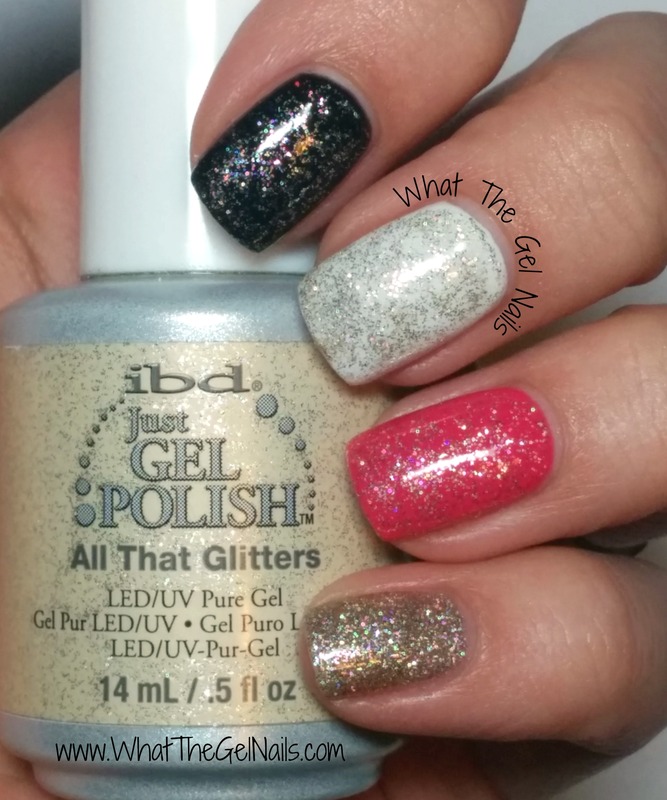 The next picture has 1 coat of All That Glitters over IBD Black Lava (pointer), IBD Whipped Cream (middle), IBD Gerber Daisy (ring), and 4 coats of All That Glitters (pinky). Hopefully these beautiful colors can brighten up your holidays. 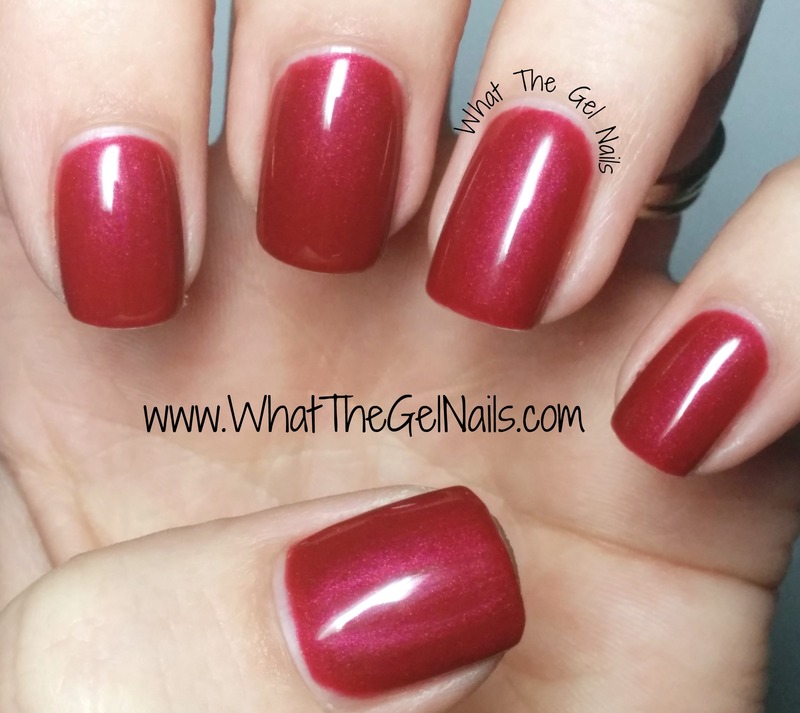 🙂 See all of my gel polish swatches in my Swatch Gallery.